make things a little better for everyone. Click here to contribute! 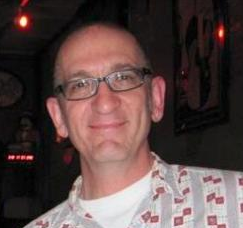 On June 9, neighbor Greg Germani was the victim of a hit-and-run while cycling on Flagler Avenue in Atlanta. The Atlanta Police Department (APD) has released security camera video that appears to corroborate eyewitness reports that after the driver and Greg exchanged words, the driver turned around and drove after the Greg, who remains in the ICU at Grady Hospital. The driver is being sought on charges of aggravated assault. To encourage people to come forward and identify the driver believed to be responsible, a campaign has been launched to offer a reward for information leading to his arrest. Please go to https://fundly.com/reward-fund-for-the-greg-germani-case and make a donation and help sweeten the pot for anyone who may be on the fence about sharing information. At the Fundly website, the APD describes the vehicle and driver as follows: "A Bright red Dodge Nitro SUV with front damage, driven by a black male 20-30 years of age with short hair".